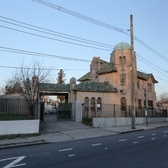 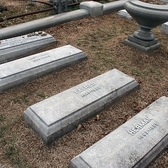 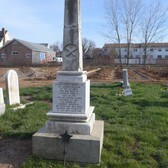 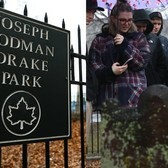 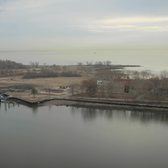 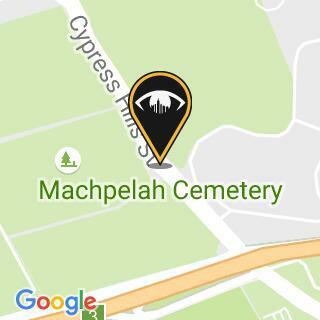 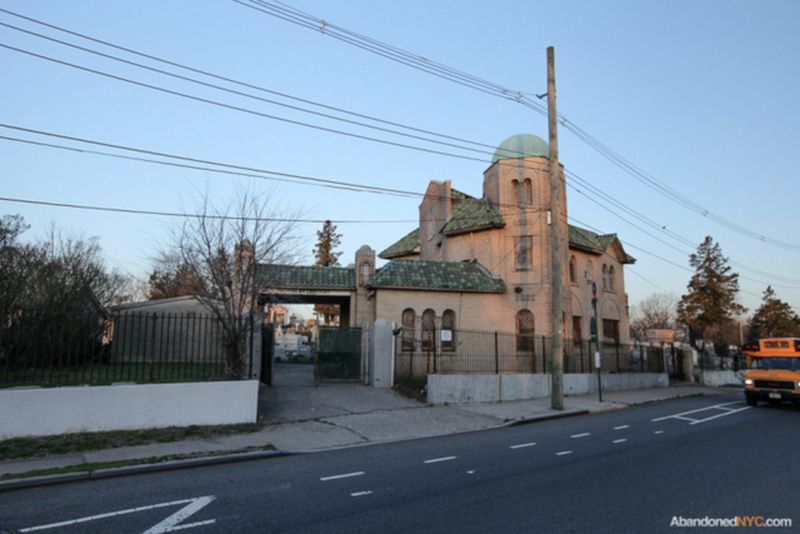 Macpelah Cemetery is a small, non-descript Jewish cemetery located in Glendale, Queens. 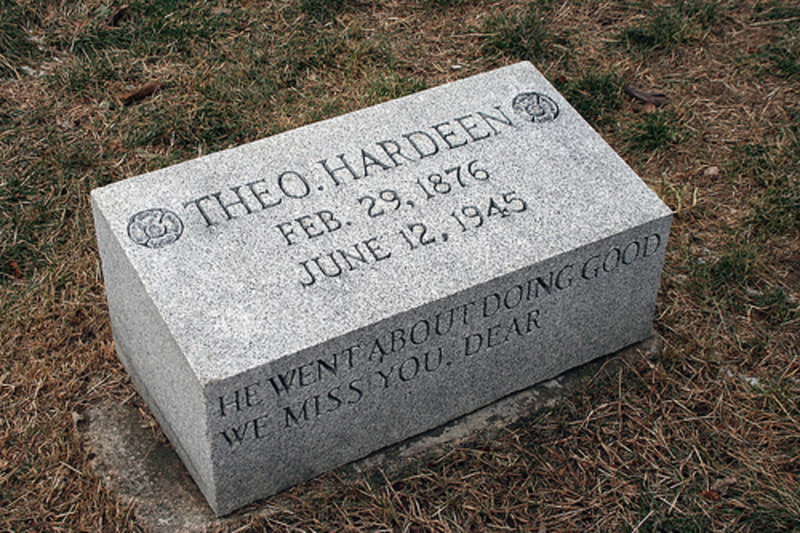 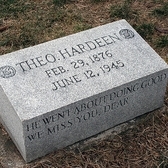 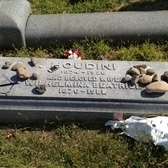 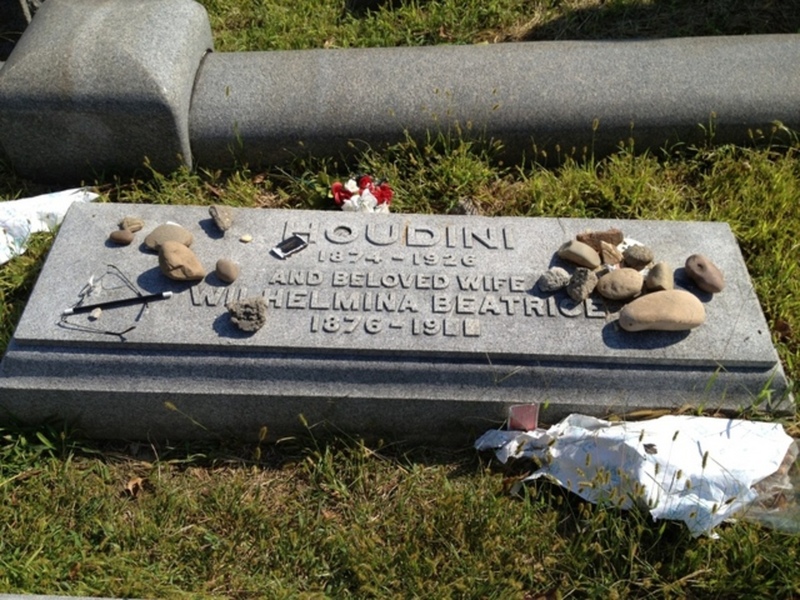 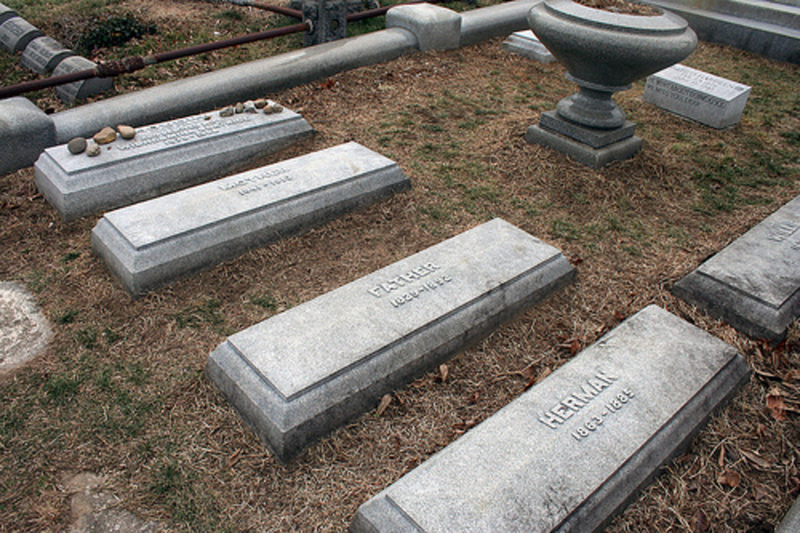 While the cemetery has seem better days, it does have one very famous interred resident: illusionist Harry Houdini. 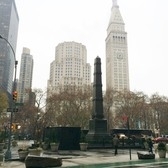 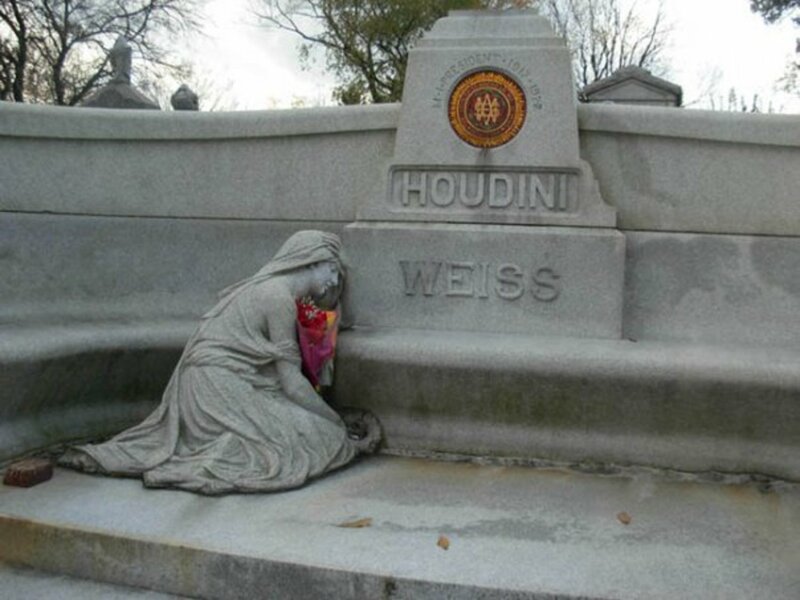 A large white monument with a weeping woman honors the world’s greatest magician at Machpelah. 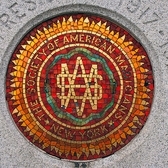 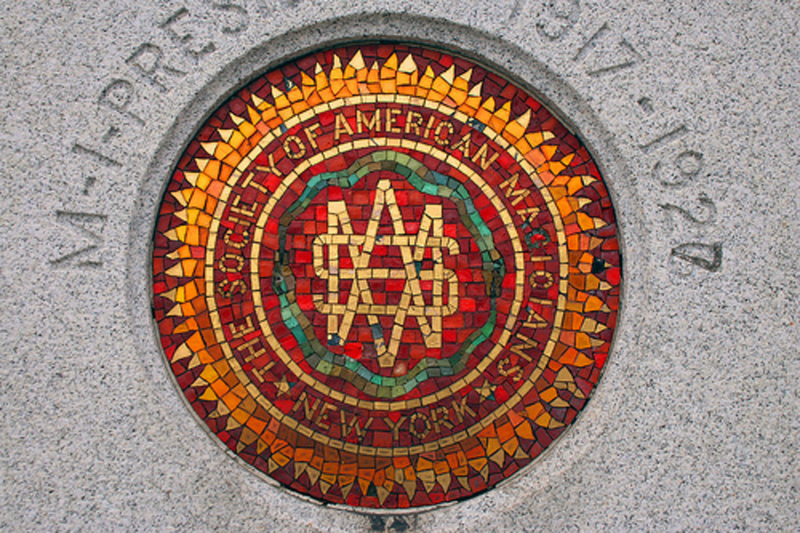 A bust of Houdini, towering over the mosaic emblem of the Society of American Magicians (SAM), tops off the monument. 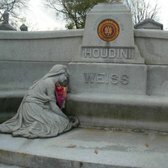 Houdini’s real last name, Weiss, is inscribed on the monument. 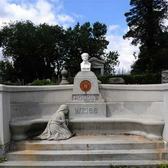 The site also has benches, a vase and usually various trinkets from people who come to visit. 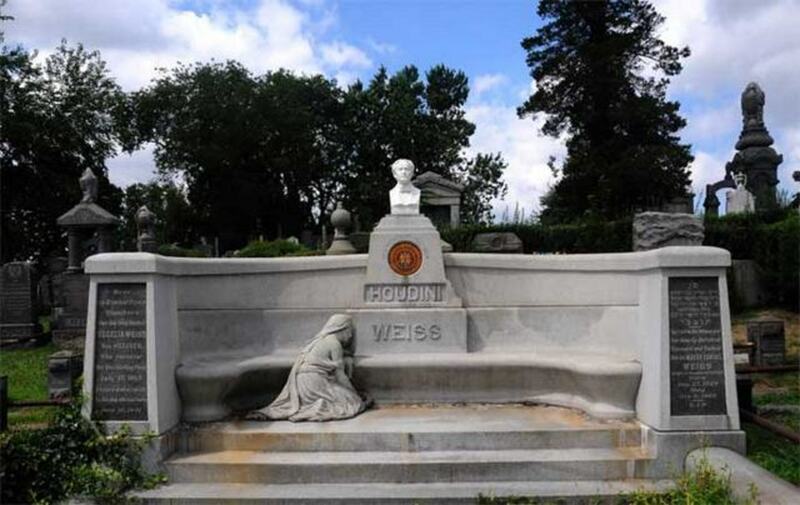 Check out the full article for more on the history of the Harry Houdini monument.